The number-one environmental threat to public health, air pollution remains a pressing problem-made even more complicated by the massive quantity and diversity of air pollution sources. Biofiltration technology (using micro-organisms growing on porous media) is being recognized as one of the most advantageous means to convert pollutants to harmless products. Done properly, biofiltration works at a reasonable cost-utilizing inexpensive components, without requiring fuel or generating hazardous by-products. 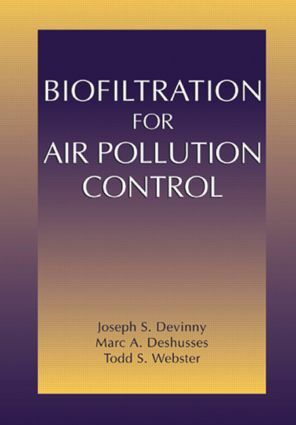 Firmly established in Europe, biofiltration techniques are being increasingly applied in North America: Biofiltration for Air Pollution Control offers the necessary knowledge to "do it right."